With so many beautiful women gracing the covers of magazines and our Instagram feeds, there's constant pressure to change our bodies to look more like theirs. 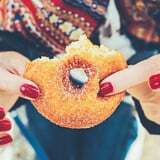 And it's easy to get consumed with weight-loss methods like calorie counting, especially as you begin to see desired results, but it's also important to take a step back and evaluate your relationship with food. During the Chicago stop of G. Sport Sessions, a fitness experience by Westin Hotels and Goop, Westin's Global Run Concierge Chris Heuisler made a comment to POPSUGAR that may forever alter the way you view food from a weight-loss perspective. "I get concerned when I hear people look at food as a number," Chris told us. "I think food and eating and nourishing your body is a joyful experience. I want to enjoy my food; I want to enjoy the fact that I can eat food given how many people in this world cannot eat food. And if I diminish the joy of food by attaching a number of calories to it, how much can I really enjoy it?" Chris acknowledged that he's sensitive to those who struggle with disordered eating but encourages others to "have a relationship with food that you're proud of." For example, if you're going to opt for a smoothie, feel good about it. Same as how you shouldn't punish yourself over a doughnut or two. We're all for leading a healthy lifestyle, but remember that food should be enjoyed and appreciated, not demonized. "As long are your relationship with food is benign, then you're good to go," Chris said. "When it switches, you're in a pretty unhealthy territory. 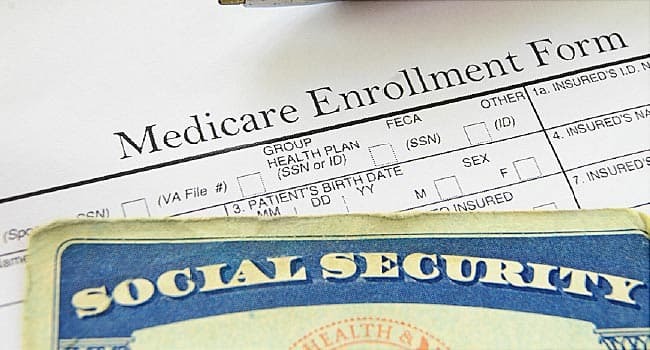 It's really not about a number." 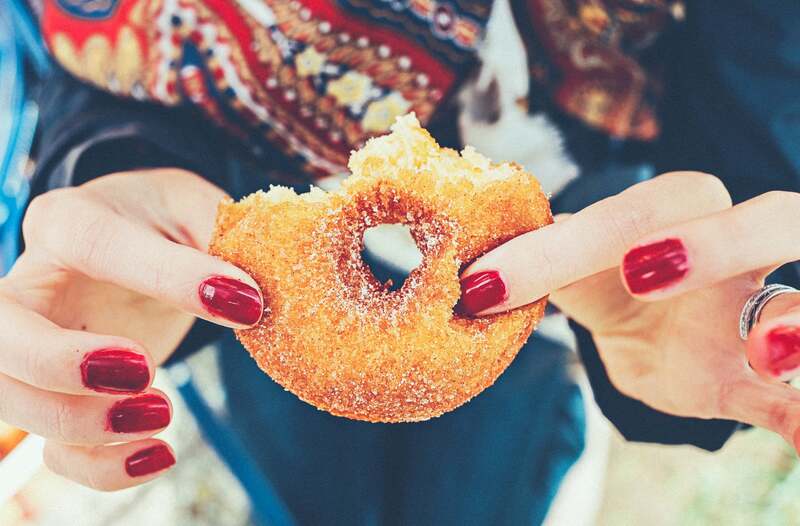 So any time you're feeling guilty about a cheat meal, remind yourself that you're allowed to (and should!) enjoy what you love. Indulging every now and then won't do any harm, and what's most important is that you feel your best! There's nothing worse than having to toss spoiled food that you recently prepared or just bought. 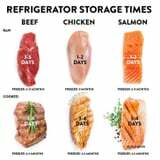 To avoid that kind of situation, Shannon Eng (aka caligirlgetsfit) shared a handy cheat sheet on Instagram showing the optimal storage times for beef, chicken, and salmon. Use this as a reference to prevent your meal-prep efforts from going to waste! Your core is truly the central part of your body. "It embodies all the muscles in your torso from your shoulders down to your hips. This complex series of muscles controls almost all of your body's movements. Therefore, a strong core equates to a strong body," said Sarah Chadwell, NASM, CPT, a certified trainer. In fact, having a strong core helps combat injury and back pain, and improves your posture. A strong core does not necessarily mean a six-pack. It means fortifying the muscles in your torso so you can do every day activities without strain - think about it, you use your core when you swing a bat or golf club, and even when you stand up from a chair. The simple answer to strengthening those muscles is to consistently do exercises that work them. While your head might immediately go to dreaded planks and crunches, there are other moves that can have a great impact on your core, in particular the deep internal muscles. We asked Chadwell to share her go-to exercises that work the area. Chances are you've heard about the dance craze that is Zumba, which has made fitness extremely fun and helped people lose tremendous amounts of weight. If dancing isn't your preferred method of working out, or you're just looking for another style of training to become obsessed with (trust us, you're going to love this), you've got to try STRONG by Zumba. When you have a long flight layover, you probably read a book, scroll through social media, take a nap, or try not to eat all the snacks you packed for the next flight (is that just me?). Personal trainer Kaisa Keranen, MS, NASM, however, made us all feel lazy when she filled her airport downtime with a workout. 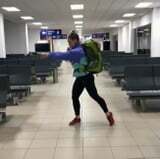 During a seven-hour stretch at the airport, Kaisa managed to fit in a circuit using her bodyweight, an airport bench, and her backpack for extra weight. She posted the workout on her Instagram, and it featured jumps on the bench, lunges, squats, and jabs. Luckily for Kaisa, the airport was virtually empty so she could work out in peace. (The same can't be said for LaGuardia, which is always packed with grumpy travelers and annoyed New Yorkers). "When you are stuck at the airport for 7+ hours you find all types of ways to spend time #JustMove," she wrote in her Instagram caption. Take a cue from our printable workout you can do anywhere and move your body, especially when you're stuck in the same place for seven hours! If you've been meaning to show your core a little more TLC, celebrity trainer Jeanette Jenkins has got your back, and your abs. Instead of doing hundreds of crunches in hopes of revealing some muscle definition in your stomach, give her ab challenge a try. All you need is a medium-size stability ball, and you're set. This workout will target every muscle in your core from your obliques to your transverse abdominis muscles. Are you ready for the challenge? Watch the full video above to see how each move is performed, and complete two to three sets total.